A do-it-yourself dream! 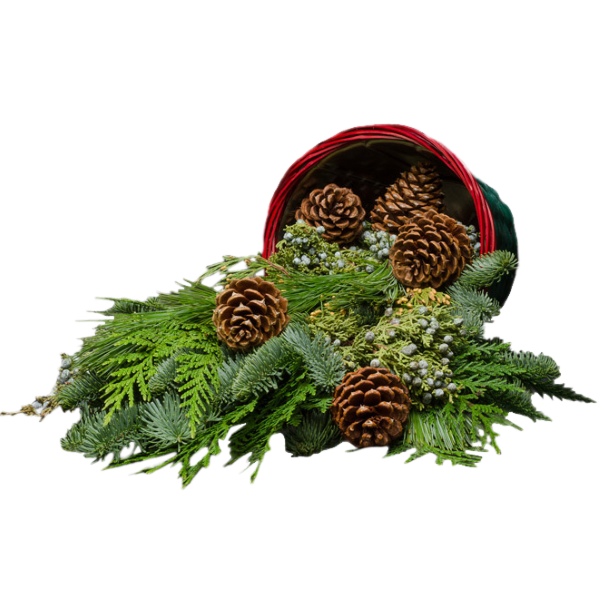 This bounty of luscious Noble Fir, Juniper, Incense Cedar, Western Red Cedar, Princess Pine & Ponderosa Pine cones, loaded to the brim in an old fashioned basket will fill your home with the freshness of the forest and be the envy and delight of every visitor during the holidays. Great for creating your own design or displaying as-is on a counter or table top.It�s a DIY Christmas decoration! "It's a pleasure doing business with Christmas Forest. My friends and family really appreciate your quality products. Thanks again and happy holidays."